Say goodbye to that paycheck...and HELLO LEMME HUG YOU to all your cuddly new friends! 1. A pair of USB s'more slippies that'll be a tasty, toasty treat for your cold toes this winter. Get them from ModCloth for $39 (one size fits most). 2. A foxy doll's muzzle to nuzzle while watching Wes Anderson's Fantastic Mr. Fox. Get it from Anthropologie for $28 (available in a fox and a unicorn). 3. A starry-eyed sloth so you always have someone willing to hang around. Get it from Fab for $28. 4. A cozy bowl of ramen, because the only thing better than eating ramen will be snugglin' it. Get it from Plusheez on Etsy for $41.07. 5. An insanely lovable plush water bear — it may just make you trade in your classic childhood teddy for a tardigrade. 6. Any one of the babies from this llama family, so you can live out your dream of a lifelong hug sesh with a domesticated pack animal. 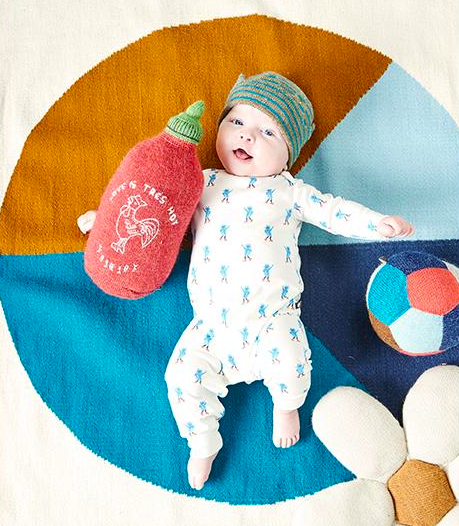 Get it from Pottery Barn Kids for $29+ (available in three sizes). 7. A Ruth Bader Ginsburg doll, because we all know she'd be supreme at snuggles! Get it from Fab for $30. 8. A cushy armadillo who just needs someone to break through his shell and give him some love! Get it from The Land of Nod for $31.20. 9. A friendly Shake Shack plushie that'll want a taste of your affection. 10. A feisty pet whose emotions can run wild when you don't give him his snugs. Get it from ThinkGeek for $19.99 (available in eight ferocious friendly beasts). 11. A bite-sized Donutella doll that's sure to fit right in your hand and be your sweetest friend. 12. A fluffy AF Bluetooth speaker for people who prefer holding hairy electronics. Get it from PBteen for $34.99 (available in three colors). 13. A massive Antarctic penguin that'll comfortably replace your cold-hearted ex. Get it from Walmart for $297.11. 14. A puffy poodle you can hug tight and sympathize with whenever it's humid out. Get it from Pottery Barn Kids for $29. 15. A cube-shaped Wonder Woman cushion to remind you all powerful women have their own set of perfect corners and curves. Get it from Walmart for $15.98. 16. A cactus pillow, because if we're being real, we all wonder what it'd be like to cuddle a cactus. Get it from The Land of Nod for $15.20. 17. A stuffed pygmy goat that'll be the perfect stretching companion before you jump on the (actual) goat yoga trend. 18. A huggable pizza pillow for some serious PDA with your boyfriend, carbs. 19. 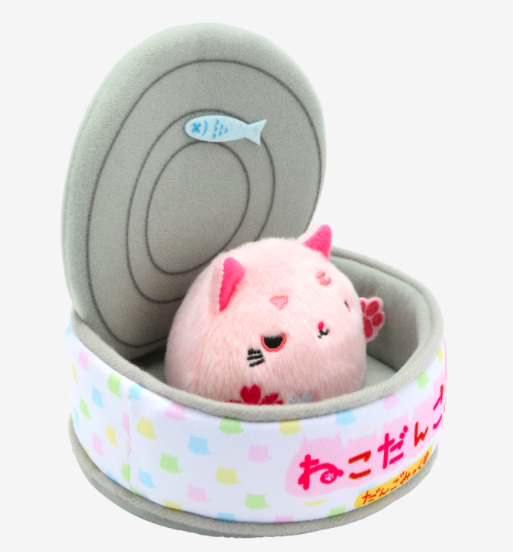 A kitty dumpling in a tuna can, because a toy this fabulously random deserves all the attention in your treasure chest. Get it from Hot Topic for $20.23. 20. A Ghostbusters doll with cheeks we just wanna SQUISH, who is sure to please any friend with a nostalgic love of the cult classic film... Also a solid gift for anyone really into tires, tbh. 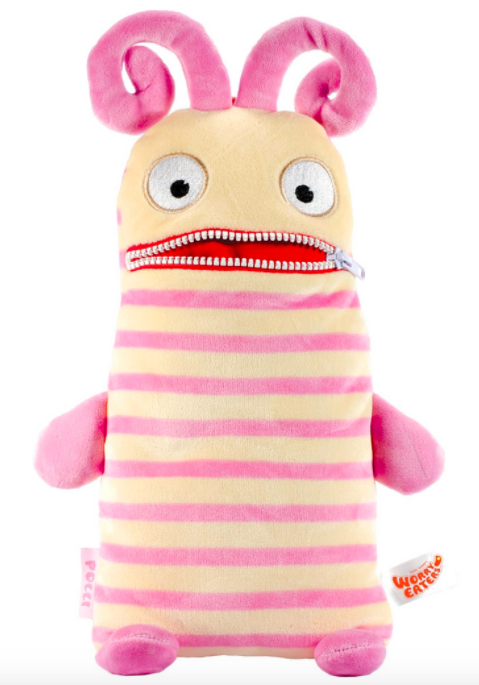 Get it from Kidrobot for $11.99 (available in three monsters). 21. A pair of snappy lobster slippers you can replace your uncomfortable shoes with whenever you're in a pinch. Get them from Asos for $26 (available in sizes S-L). 22. A shiny heart pillow for the person in your life who has a heart of gold and an interest in (somewhat) anatomically correct bedroom decor. Get it from Amazon for $27.99 (available in two colors). 23. A loving worry-eater that'll chomp your worries away as quickly as you devoured all the chocolate in your roommate's trail mix last week. Get it from Target for $15.99+. 24. A huggable This is Fine Dog you can squeeze when things are on fire but totally fine. Get it from Topatoco for $25. 25. A traditional rag doll who wears her heart on her sleeve and wants someone to share it with. Get it from Palooka Handmade on Etsy for $59.17. 26. 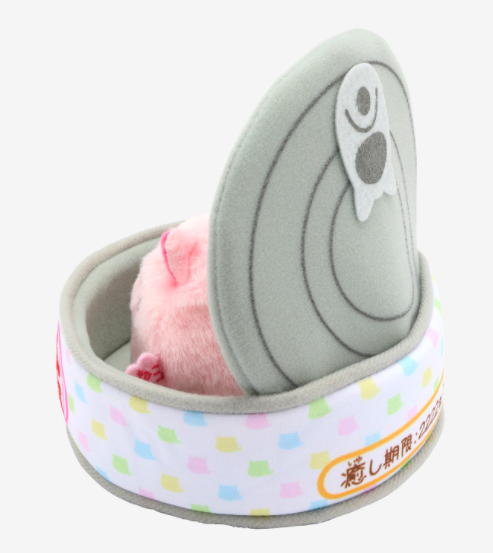 A darling scented squishy roll toy for squeezing out all your stress. Get it from Amazon for $8.99 (available in three colors shipped at random). 27. A Tacocat pillow, because you can't cover your actual cat in chipotle dressing without getting some weird looks from PETA. And "tacocat" spelled backward is "tacocat." We're buying it for the palindrome alone. 28. A melty ice cream narwhal whose cuddles are sure to be a real treat! 29. A stunning velvet dragonfly you'll want to pet all day long. Get it from Tamar Mogendorff for $165. 30. An adult-sized donut bean bag you can always count on to be the big spoon. Get it from Houzz for $96.99. 31. A unicorn travel pillow set, because if you have trouble sleeping while you travel, cuddling a unicorn just may be the trick you need to get some sound sleep! Get them from ModCloth for $35. 32. A pair of toasty USB hand warmers to connect to your computer when it's 30 degrees outside and your office thinks heating is a suggestion. Includes adjustable velcro, USB cord, and automatic temperature control. Get them from Amazon for $19.88. 33. A llama duster that'll feel so soft you'll wanna snuggle it way more than clean with it. Get it from Amazon for $14.05 or get it from ModCloth for $15. 34. 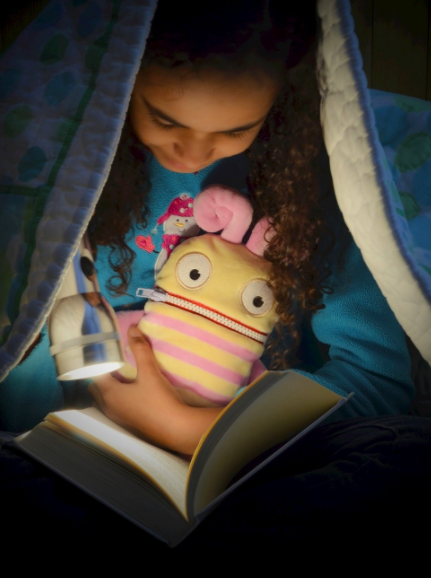 The cuddliest copy of The Monster Book of Monsters, which you can have on your lap all day without the fear of being eaten — as long as you rub its spine. Get it from ThinkGeek for $59.99. 35. 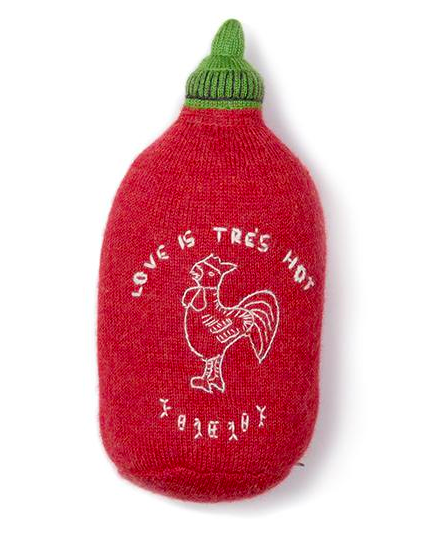 And an expertly knitted hot sauce pillow to help you properly love the greatest condiment of all time. Get it from Amazon for $80 or from Oeuf for $80. Literally me with every single one of these.